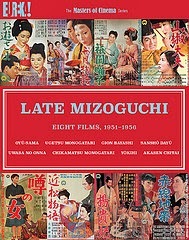 An oddity in the Mizoguchi box set in terms of its length, Sanshô Dayû, or Sansho The Bailiff, clocks in at a comparatively meaty one-hundred and twenty-four minutes, whilst most of the rest of the Mizoguchi offerings here are content to hover around the ninety or even eighty minute marks. Length though is hardly the sole reason for this film standing out. 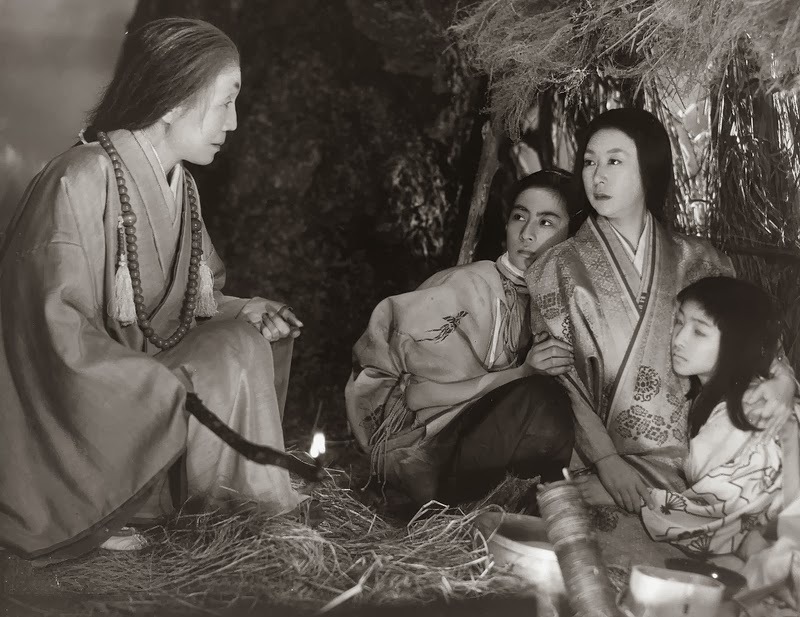 Where Mizoguchi often tells simple stories of human interest, often set in single locations, Sanshô Dayû is near epic in scope, taking in lead characters at several different ages and life statuses as Zushiô (Yoshiaki Hanayagi) falls to the level of slave in the company of mother Tamaki (Kinuyo Tanaka) and sister Anju (Kyôko Kagawa) before beginning his rise once again to the top and then elsewhere. There's a really journey of depth here for everyone involved, as Zushiô emerges as a focal point. This is an oddity as well in the fact that it joins the fairly small pantheon of films whose title character isn't the lead, or even, arguably, the lead antagonist. Sanshô (Eitarô Shindô) is here, given fourth billing on the IMDb cast list, but he's a non-existent figure for large swathes of the film, not entering proceedings at all until after the half hour mark. That fact smacks of the film's lack of focus, which can sometimes be to its detriment. The character focus on Zushiô doesn't really arrive until he breaks camp at the insistence of Anju, a good halfway through the film, if not more. It means that when, shortly after this point, Hanayagi starts to whine a little, it's more difficult to forgive him than if we recognised him as the sympathetic protagonist. Ditto Sanshô, who, though decidedly unpleasant, has little time to evidence his evilness. At one point, Sanshô's son is placed front and centre for a decent period, before he marches off to the sunset, apparently with purpose, but actually never to darken the plot again. Perhaps then, those areas of doubt speak to the fact that this is Mizoguchi out of his comfort zone, though there's little doubt that, for the most part, he should be applauded for leaving it. He gets a great performance out of young Zushiô (Masahiko Kato) early doors, stabs continually at real tragedy in the finales and creates a middle section that feels like a well-realised precursor of the modern Prison Drama. It's impressive, if not as accomplished as the work in areas where Mizoguchi feels more at home.